See also NCD Black Square II by djnippa. Info: Created on 15th December 2008 . Last edited on 30th May 2012. My 2nd Original Font. I hope you find it useful. Please post any designs. 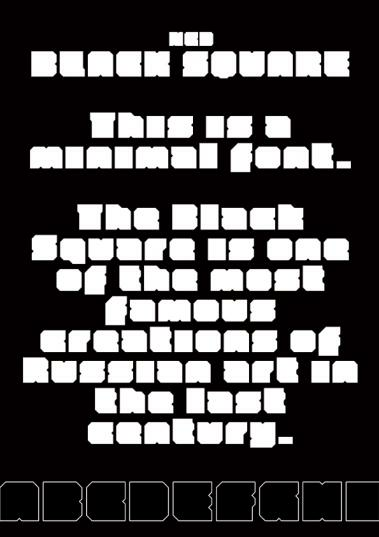 Wow, Ultra Minimal Black. Love it.